Adarna started her career as an internet celebrity. She ends up being a model. Since 2013, she has a contract for Star Magic with ABS-CBN. People recognize Ellen Adarna as a gravure model. Due to her popularity as a model, she appears in various magazines. You can see her presence on Women’s Health, Speed, UNO, Preview, Esquire, FHM and Candy. Adarna had her debut as an actress after she appeared in Bubble Gang in 2010. It marked her presence in the acting world. Have you watched Bubble Gang before? It is a gag comedy sketch TV series. She completed her role in the series in 2013. It was popular in the country. There is no need to wonder that it earned Best Gag Television Series. Adarna had a minor role in Si Agimat at si Enteng Kabisote (2010). It marked her debut in the film industry. Her next movie was in Captain Barbell. It was released in 2011. She shared screen with Jillian Ward and Richard Gutierrez. In 2011 until 2013, Adarna had a strong presence in the film industry. However, she only earned a minor role. She played as one of the Bombshells in Boy Pick-Up: The Movie (2012). In 2011, she had a cameo role in Tween Academy: Class of 2012. In 2013, she became a cast of Indio. It was an epic drama aired in the prime time. She took the role as a woman who knows the past, present or future named Dalikmata. Eventually, Adarna ended up in a title role. She portrayed the character Twinkle in Ang Tag-araw ni Twinkle movie. Adarna shared screen with Betong Sumaya in the movie entitled Basement. This horror movie was released in 2014. Adarna took the supporting role. In 2013, Adarna was signed by Star Magic, which made her as a Kapamilya star. 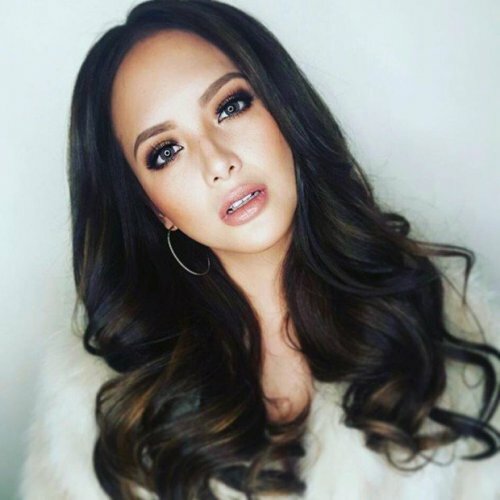 In 2014, Ellen Adarna was in part of the Singing Bee as a contestant. It was a singing competition. In 2014 until today, she has been seen in ASAP. Do you like reading facts about Ellen Adarna?